From the Italian word for "strings"; these round thin strands of pasta are our most beloved shape. A versatile pasta shape, spaghetti can be used in entrées, side dishes, cold salads, or broken and used in soups. Toss spaghetti with almost any pasta sauce of varying thickness. Tomato or cream sauces, broth-based and meat sauces, and olive oil tosses all work well with spaghetti. Ronzoni® Smart Taste® is enriched with fiber, calcium and vitamin D -- and lots of it. 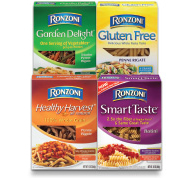 Ronzoni® Smart Taste® has 2.5 times the fiber of regular white pasta and is an excellent source of calcium and vitamin D. Ronzoni® Smart Taste® has the same great taste as white pasta but with even greater nutritional value. 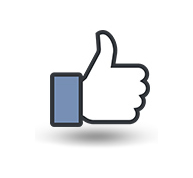 Vitamin D 20% * Percent Daily Values are based on a 2,000 calorie diet. SEMOLINA (WHEAT), DURUM FLOUR (WHEAT), OAT FIBER, CALCIUM PHOSPHATE, NIACIN (VITAMIN B3), FERROUS SULFATE (IRON), THIAMIN MONONITRATE (VITAMIN B1), RIBOFLAVIN (VITAMIN B2), FOLIC ACID, VITAMIN D3.